This swing thought reminds you to shift weight towards the back/right foot during the backswing and towards the front/left foot during the downswing and onward. 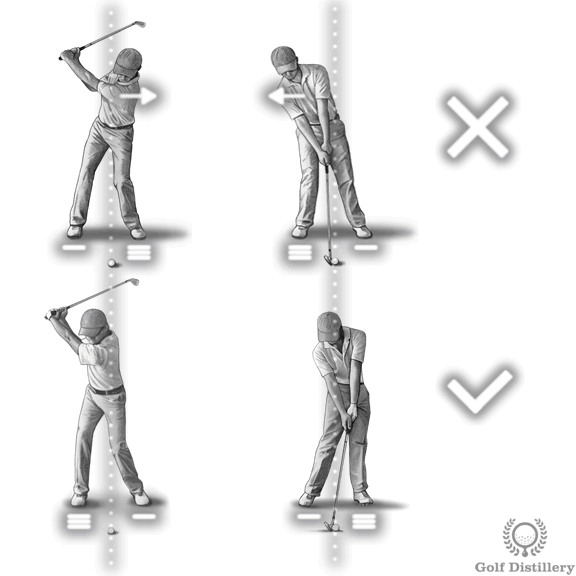 This is in contrast to shifting weight in the exact opposite way, a swing error known as the reverse pivot. 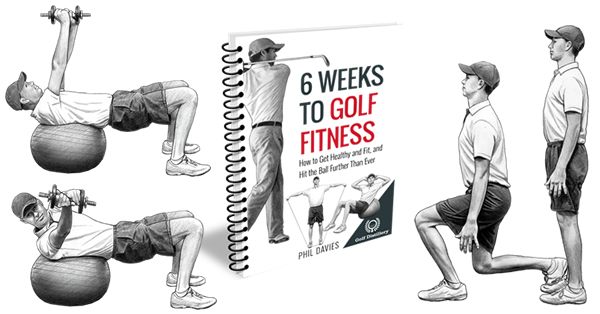 This swing key assists in making sure you are correctly transferring weight during the golf swing. This is turn will lead to shots that are hit more purely, resulting in strikes that send golf balls travelling as far as their potential allows. Golfers who are afflicted by the dreaded reverse pivot swing error will do well to remind themselves of this swing thought. Indeed, a reverse pivot swing will shift weight in the opposite direction, resulting in hitting up on the ball, which often translates into thin shots and which always translates into less than ideal shots. 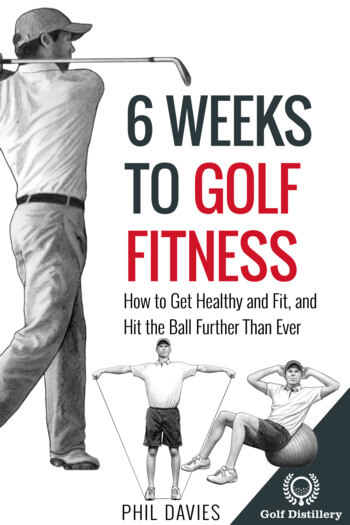 More than merely moving the golf club around, the swing involves moving weight around. It is through that carefully executed weight shifting and the energy it generates that it is possible for a ball to travel hundreds of yards. It is also through it that one can hope to strike the ball solidly and to so with reliability. This swing reminder can be used whenever weight shifting occurs. 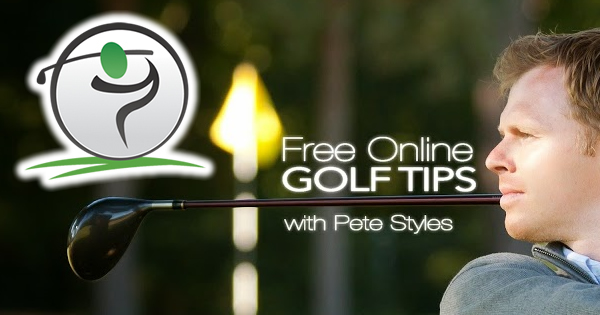 Indeed, it does not apply to putting or to other short game shots that favour a neutral weight distribution among both feet during the entire swing nor does it where the weight should remain on one foot throughout, such as for certain chip shots. While it is important to focus on weight shifting, it is also important to do so correctly. One must be careful not to exaggerate this alternating weight movements or to do so using the lateral sliding of the hips, known as sway. It should always be done primarily through the rotation of the upper body along a fixed axis.